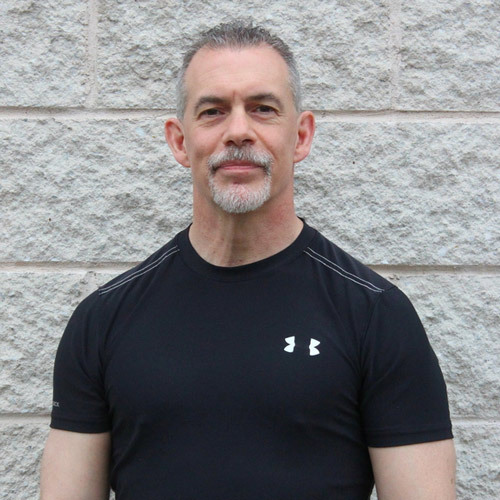 A career law enforcement officer and defensive tactics/officer survival trainer, George is constantly in search of improving performance for police officers, martial artists and athletes. A major part of being able to win life and death confrontations is being in excellent physical shape and being mentally tough. The CrossFit method of training enhances physical conditioning and mental toughness like no other. George has taught martial arts and police defensive tactics for over 20 years. George has presented classes on various topics of officer survival for law enforcement training organizations such as the International Law Enforcement Educators and Trainers Association(ILEETA), the American Society of Law Enforcement Trainers(ASLET), TREXPO West and the Western Canada Use of Force Conference. George presented Child Protection Options for the American Woman’s Self Defense Association(AWSDA). George presented at and participated in the National Tactical Invitational (NTI) in 2004. George has had articles on officer survival training published in The Police Marksman, Law and Order, American Police Beat, The Trainer and The ILEETA Journal. He has filmed instructional segments for the Law Enforcement Television Network(LETN). George has black belts in the martial arts of kenpo and bo fung do. He is a Brazilian Jiujitsu student, Purple Belt under Renzo Gracie Black Belt, Joe D’Arce. Competed in the 2010 and 2013 Pan Am, No Gi Brazilian Jiu Jitsu tournament, the 2013 Summer Classic Good Fight (gi) and the 2014 Good Fight Submission Only tournament. George is an Omni Hypnosis certified hypnotist and does Guided Imagery (training the subconscious mind for enhanced performance) sessions for high school and college athletes as well as amateur and professional kick boxers and mixed martial arts fighters. 4-time competitor at the Northeast Masters Throwdown, 3rd place finish in 2016. Once upon a time George was a hurdler (Track and Field), played and coached ice hockey, kickboxed and swam in a 2 mile, open water race.